What part of your life is not driven by electricity? That’s why you’re here, reading this. You want to know how you can make electricity do even more Goodbye Power Company: Why You May Soon Be Generating Your Own Electricity Goodbye Power Company: Why You May Soon Be Generating Your Own Electricity Solar power allows the clean generation of electricity, using a source that is guaranteed to never run out in our lifetime - the sun. But will it ever beat out the power companies? Read More for you! Do you want to make your life greener? Make your wallet a little more full? Not be so dependent on the power company? Maybe all of the above? You can, by installing a solar photo-voltaic (PV) electrical system What Is Solar Energy And Why Hasn't It Taken Off? What Is Solar Energy And Why Hasn't It Taken Off? What's the big deal with solar energy? If it's really as important and necessary as so many claim it to be, why hasn't it taken over the energy industry yet? Read More . “But it’s so expensive!”, you say. Well, yes, you could easily spend $30,000 to $40,000 on a complete system. At the end of this article, we’ll look at how you can make that much more affordable. Maybe even cutting the cost in half. Before we get into the different solar electric systems, let’s take a few minutes to think about what we need and want. What Do I Need to Consider for a Solar PV System? People who are looking into using the sun to power the home do so for any of the following reasons; to save money How a Smart Energy Monitor Can Save Money And Give You Peace of Mind How a Smart Energy Monitor Can Save Money And Give You Peace of Mind Smart energy monitors tell you how much electricity your appliances use, and how much money you could save if you turned them off. They can also help you create clever smart automations. 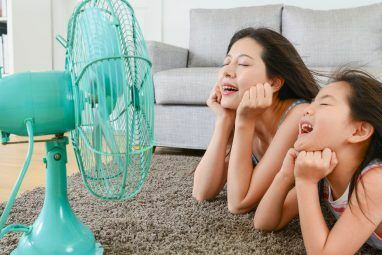 Read More , to reduce their environmental impact 7 Energy Saving Technologies to Lower Your Home's Carbon Footprint 7 Energy Saving Technologies to Lower Your Home's Carbon Footprint The following energy saving technologies can be introduced into our homes to reduce our environmental impact. Not all will be affordable just yet, but hopefully they will all become the norm in the near future. Read More , and to achieve a greater level of energy independence The Oil Killers: When Google's Data Meets Tesla's Visions and MIT's Brains The Oil Killers: When Google's Data Meets Tesla's Visions and MIT's Brains This article isn’t about a single life-changing energy-saving invention. This article connects the dots between three different technologies that, when brought together, will change the world. Read More . Which of those is most important to you? Which is least important? Take the time to think about it. There are other things that you may want that you haven’t thought about. You may want a system that you can have installed and then just forget about it; low or no maintenance. 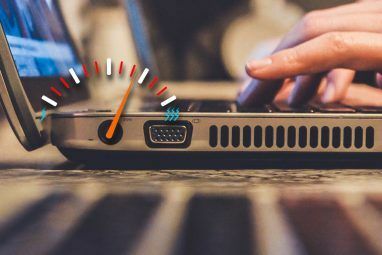 Maybe you want a system that won’t affect your power usage habits 5 Smart Hacks To Save Electricity In Your Smart Home 5 Smart Hacks To Save Electricity In Your Smart Home he trick to saving electricity is in knowing where most of your energy is consumed. Read More , or maybe you’re willing to change things a bit. Do you mind what the system looks like? Do you need something compact, or do you have some room to spare? Are you subject to homeowner associations and covenants, and want to make sure you don’t contravene those? These are all going to be things to consider when deciding the right system for you. Talk it over with your family, too. This is a decision they’re going to have to live with as well. It may affect them in ways you haven’t considered, but they’ll be quick to point out once the system is in place. Remember, electricity affects everything we do. Once you’ve worked out those things and written them down, you’ll need to start thinking about the numbers that’ll shape your choices even more. How much electricity you need and for how long are the more specific questions. It’s a matter of looking at your current electricity bills to see how much you use in a year, what your highest use months are, and how long you need to be able to go without power from the grid How to Use a Battery Bank to Protect Your Home From Outages How to Use a Battery Bank to Protect Your Home From Outages Your office computer can keep running during a power outage because you have a UPS. Can You put your whole home on a UPS? Yes. Yes you can. Read More . We’ve talked pretty in-depth elsewhere about determining your energy needs The Tesla Battery Could Change The World - But Does it Actually Save You Money? The Tesla Battery Could Change The World - But Does it Actually Save You Money? Innovation comes at a cost. One of the hopes in energy innovation is that there will eventually be a financial benefit. The Tesla battery is no different. Read More , so review that and do the math first. Make sure you record those numbers. It would be good to put them into a spreadsheet so you can work with them. Being able to try different scenarios may help you save a lot of time and money. What Kind of Systems are There? There are two categories of solar PV systems – grid-tied and off-grid. When we say grid, we’re referring to the system of power lines that your power company uses to get electricity to you. Looked at from above, it resembles a grid. The grid-tied system will leave you still connected to the power mains and your electrical utility. Off-grid systems will have no connection to the grid This Is How And Why The Amish Live Off The Grid This Is How And Why The Amish Live Off The Grid There is a group of traditionalist people, who reject many of modern society's technology, including public grid electricity: the Amish. That, however, does not prevent them from enjoying some of the comforts of technology. Read More and you’ll never have to deal with your local electrical utility. Each category has a few different variations. Grid-tied systems will either have an array of batteries as a backup system, or they won’t, or they may have a generator as well. Off-grid systems should always have battery array backups. The two major off-grid systems will be PV only, and hybrid systems that combine your solar panels with wind, micro-hydro, a generator, or any combination of those. The categories, and each system within those categories, has their own pros and cons. Of course, what’s positive or negative is a matter of perspective. Before we get to the specific systems, let’s look at the basic components of each. All of these systems will have a few common parts. The most obvious part is the solar panels Efficient. Cheap. Awesome. Here's Why New Spray-On Solar Cells Matter Efficient. Cheap. Awesome. 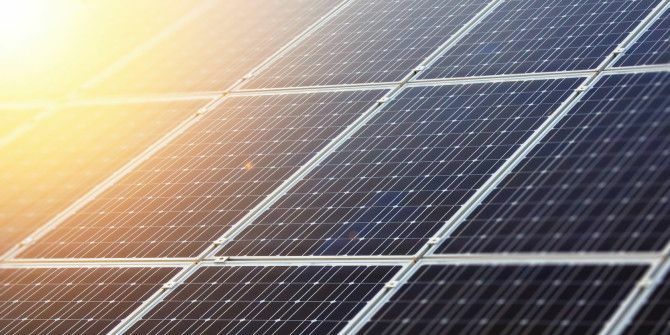 Here's Why New Spray-On Solar Cells Matter The cost of solar energy is set to drop precipitously after a team of scientists working at the University of Sheffield in the United Kingdom announced development of solar cells using a spray-on process. Read More . That’s the point where sunlight becomes direct current (DC) electricity through the magic of the photo-voltaic cell. Your panels will most likely be mounted on your roof, however you can have stand-alone mounts that you place on your property. You can even get sun-tracking mounts to ensure the panels get the optimum amount of sun each day. Options here are changing all the time and becoming easier to install and more pleasing to the eye. Inside the home, the DC electricity will get changed into alternating current (AC) electricity to run your everyday appliances. This is the job of the inverter. Depending on the system you go with, this inverter might also provide a grid tie-in. That is, it will regulate whether or not the electricity you generate goes out to the power lines. If the power coming from the grid drops, the inverter will stop feeding into the grid. That’s for the safety of anyone working on the power lines. If your system is going to have battery back-up, your inverter may also have a charge regulator function. It will take the role of diverting excess electricity to charge up the batteries, literally for a rainy day. You can also have a charge regulator that is a separate component. Not necessarily a bad idea, since it can be replaced separately from your inverter if it fails. Grid-tied and off-grid systems with battery back-up will also have batteries. These batteries will need to be stored properly How a Battery Works and 3 Ways You Can Ruin It How a Battery Works and 3 Ways You Can Ruin It The modern battery is featured in so many of our favourite technologies that you could almost be forgiven for not spending time learning about their workings. Read More and will require racking and a fair amount of floor space. Unless you go for the Tesla Powerwall Did Elon Musk Just Save Us From Fossil Fuels? Did Elon Musk Just Save Us From Fossil Fuels? Read More , of course. A disconnect switch is important as well. Think of it as a safety kill switch. If something happens to your system and you need to shut it down fast, this is the device you need. Make sure everyone in your family knows where to find it, and how and when to use it. There will also be an assortment of wires to connect everything, fuses to protect everything, and mounting hardware to secure everything. These are the basic components of any solar electric system. How Can We Compare Systems? We live in all kinds of homes in all kinds of places and have all kinds of different lifestyles. Every home’s energy needs are different. So how do we compare the systems we’re looking at? Let’s use a standardized home and base everything off of that. This will give most people a good idea of what their situation may look like. Our example home is a 1,600 sq.ft. home located in Massachusetts – so it has a temperate climate with cold, snowy winters. It uses about 7400 kWh/yr at a cost of about $1,036. Now that we’ve got that settled, we can talk numbers when we look at different systems. Let’s get to that. Off-grid systems are best suited for buildings far from the nearest power line. This could be your new country home, or maybe a family cottage. People who are best suited for off-grid systems are usually people who are already very energy conscious. They’ve already adopted as many energy saving strategies as they can. They have gone as far as they can go without disconnecting from the grid. They’re going into this with their eyes wide open, and so should you. If this is you, or who you want to be, read on. Pros: Eliminate power bills, grid outages, and dependence on the grid. Cons: Need to adjust power-use habits, and system malfunction could leave you without power for days. This is the basic solar electric system. Panels, charger, inverter, and batteries. That’s all there is to it. Just because it’s that simple doesn’t mean it’s the cheapest, though. You will be completely dependent on this system for all of your electricity, so it will also be the largest of the PV systems. It will require the most panels and the most batteries, because if the sun isn’t shining, you’re not getting any power. For our example home, this system would cost about $45,000, or $6 per watt of generating capacity. Even with that cost, your payback period Save Energy and Money With These Smart Home Devices Save Energy and Money With These Smart Home Devices One of the biggest benefits of a smart home is the energy saving technologies available. As well as saving money, you’ll also be pushing toward a more sustainable, convenient living situation. Read More may be shorter than you think. Remember, we’re going to look at ways to cut that drastically near the end of this article. Plus, if this system is going on a new home, consider the cost for having electricity brought to the home. If you’re very rural, you might have to pay for poles to be erected and power lines to be run. Expect to pay around $5 to $10 for every foot between the current last pole and where you need electricity. That can easily add up to ten or twenty thousand dollars. If your off-grid system costs $40,000 and you would have needed to run poles at $20,000, it pays for itself very quickly indeed. Pros: Completely off-grid, nearly maintenance-free. Cons: High initial investment, longer payback period, long periods of low-sun can drain the system. Sometimes the sun just isn’t enough. Sometimes you’re lucky enough to have other sources of energy that are more consistent or easier to tap into. If you’ve got consistent winds or a free flowing creek on your property, you may want to take advantage of those with a wind turbine, a micro-hydro generator, a generator, or some combination of those. Like any system, though, the more you add to it, the more complicated it becomes and the more maintenance it will take. But you’ve already decided to live off-grid so you’re probably alright with those trade-offs. The best part of adding wind or hydro is that it may increase your up-time to nearly 100%. The wind blows at night and especially well on days without sun. The river runs as long as there’s water in it. The generator will run as long as you have fuel, of course. The cost of a hybrid system could vary dramatically. A 3 kW wind turbine and mounting tower can cost about $4,000, or $3 per watt. That’s half of the per watt cost for solar alone. A 1.5 kW micro-hydro generator costs about $3,000, or $2 per watt. That’s a third of the per watt cost of a solar PV only system. A 10,000 W gas generator Solar Generators Vs Fuel Generators: Which One Is Best For You? Solar Generators Vs Fuel Generators: Which One Is Best For You? Would a solar generator make more sense than a gas generator? What solar generator options are out there? Those are the questions we’ll look at today. Read More can be had for less than $900. Of course, you have to pay for gas as well. These generators generally need to be manually started when you are without power. They also have small gas tanks, so their run time may not be as long as you’d like. In this case, consider a propane fueled generator. Propane fueled generators can be had for around $3,000, and come with a host of other features, like automatically turning on or off, depending on whether the rest of your system is generating enough power. They are also far more efficient, and have a much longer run-time than a gas generator. You can see how augmenting your system with either of these can help provide the same amount of electricity, more reliably, for a lot less money. Our example home’s system may now cost around $30,000. That’s about 2/3 of what the solar PV only system might cost. Pros: Less expensive than solar PV only, more consistent power generation. Cons: More maintenance than solar PV only, might require government approval for wind-turbines or micro-hydro generators. When you’re talking grid-tied, energy independence isn’t usually your top goal. Saving, or even making, money is usually what you’re after. With many power companies buying your power at favorable rates, known as a feed-in tariff, this is definitely possible. You might even make money. A grid tied system is still a benefit to the environment, so you do get the satisfaction of greening your world. You also get the convenience of having constant power, no matter how little or how much you use. Although, a little power diligence will increase your total feed-in tariffs and green up your pockets quicker. Pros: Potentially 100% up-time, power usage habits don’t need to change as drastically, possible to eliminate power bill or even make money. Cons: Still dependent on the grid. This system is almost the same as an off-grid PV only system, except your inverter will also provide an interface to the grid. It will automatically manage your connection, allowing your excess power production to flow back into the grid. When you’re not producing excess, it will allow grid power to continue to flow into your home. The upside is that this system will allow your battery array to keep powering your home when the grid is down. How long it will power your home will depend on the size of the battery array and how you adjust your power usage. A system with a battery array that will give the example home enough backup power for 48 hours will cost about $40,000, while one that gives enough for 6 hours is around $27,000. Of course, if you use Tesla’s Powerwalls, you can greatly reduce those costs. It’ll also save you floor space. Sure, this system is potentially twice as expensive as a grid-tied, PV only system. However, this system is great for people who rely on home medical equipment, are subject to frequent black outs, or work from home How to Work from Home & Be Productive with Collaborative Online Tools How to Work from Home & Be Productive with Collaborative Online Tools Wish you could skip the commute and work from home? Remote work has its downsides, too. We show you how to harness the power of the Internet to remain productive while telecommuting. Read More . For these folks, it just might be worth it. Pros: Best power up-time of all the systems if battery array is large enough. Cons: More maintenance, more expensive, longer payback period, and takes more room than a grid-tied, PV only system. The grid-tied, PV only system is simply panels, wires, and a grid-tie inverter. It’s the least expensive whole home system. On our example home, a system that would replace grid power comes in around $32,000. This is the system you choose if your budget is limited and you want to cut power costs quick. It can benefit almost anyone, right away. It’s important to remember, this is a system that can be built upon. You can start here, then add battery back-up, and then even go on to being off-grid. If your home allows for it, you might eventually add wind turbines and micro-hydro. Pros: Less expensive, and less maintenance than system with battery back-up. Cons: Grid power outages will affect you the same as only being on the grid. If a whole home system is out of the question right now, consider a small system like a residential solar power kit How Residential Solar Power Kits Can Keep You Online During Outages How Residential Solar Power Kits Can Keep You Online During Outages While fossil-fuel powered generators are well understood, the same isn't true for residential solar power kits. There are thousands of products on offer, each with their own advantages and disadvantages. Which ones are right for... Read More . They come in different sizes and price points. 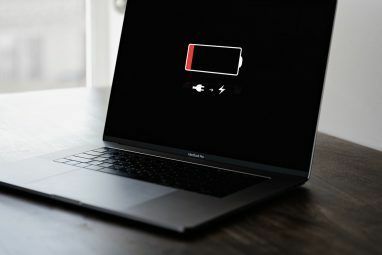 It might be enough to keep your phones and laptops charged, or to run important equipment like a home dialysis unit or a sump pump. Just like the off-grid systems, you could add other generating sources, like a wind turbine or a micro-hydro generator. Typically, people who are still tied to the grid don’t use these, because they are redundant or because they are considered an eyesore by neighbors. Government may even have regulations against wind turbines or micro-hydro in residential areas. What you are likely to see is a generator connected to the system. This is the best, and least expensive, way to get the kind of power up-time that having a battery back-up system might provide. Gas generators are pretty inexpensive, but you might consider a more expensive diesel or propane fueled generator. Some of these can even be set up to automatically start when a drop in grid power is detected. Pros: Excellent up-time, between the cost of a PV only and a PV with battery back-up system. Often starts and stops on it’s own depending on power from the grid. Cons: Requires more maintenance than PV only. Generator noise may not be welcomed by the neighbors or local government. How Can I Afford a Solar Power System? Depending where you live, there could be federal, state, even municipal government incentives that could cover as much as half of the cost. Our example home in the U.S., is eligible for the 30% Federal Income Tax Credits for Energy Efficiency, up until December 31, 2019. In Massachusetts, our example home’s state, there are another 4 incentive programs to make this more affordable; Net Metering, Sales Tax Exemption, Personal Tax Credit, and the Property Tax Incentive. Net metering could reduce your power bill to zero in Massachusetts. That’s as much as their law allows right now. If there are feed-in tariffs in your area, you could go further than just eliminating your power bill; you could end up getting paid by them. Eligible solar PV systems and components are also exempt from the state sales tax. Although that doesn’t reduce the base cost for the system, it is a relief that you don’t get taken for sales taxes too. Massachusetts will also give you up to a $1,000 personal tax credit for installing an approved system. Between that and the federal income tax credit, you could be getting a sizable tax return. Finally, if your system increases your property value (and it will) the amount it is increased is exempt from property tax for 20 years. Our example home’s grid-tied, PV only system is now reduced from costing $32,000 down to about $22,300 out of pocket after tax time. This is getting good. In your location, there might be feed-in tariffs or even greater incentives. Depending on the details, it could halve the initial cost. Search on your zip code at the Database of State Incentives for Renewables & Efficiency. Now, consider your current and future cost of grid electricity. It’s not cheap now, and it’s probably never going to get any cheaper. Consider that the cost of power has averaged an inflation rate of 3.15% per year, from 1960 to 2011. That’s according to the U.S. Energy Information Administration. Numbers may vary in your location. Assuming your net metering zeroes out your power bill, and the cost of power inflation rate stays the same, the system pays for itself in just over 12 years. That might seem like a long time. Yet, the useful life of the system can be 20-30 years. By year 30, the system could have kept another $36,000 in your pocket. Now you know the systems available to you. You also have an idea about their cost to implement, and how they can pay for themselves. You’re thinking over the negatives and positives of each system. That’s good. Keep in mind, these systems can be built in an almost infinite amount of ways. You’re not stuck with the first system you get. Perhaps you’ll start with grid-tie PV only, then add on batteries until you’ve got full back up. You might then disconnect from the grid when you’re confident your system will meet all of your needs. Or you might start with a small grid-tie, PV only system, but then add wind turbines or micro-hydro generators. Then when you feel comfortable maintaining those, you might throw in battery back up and disconnect from the grid. So the best system for you is what you can use right now. When life changes, you can adapt these things to meet your needs and make it the best system for you, then. Hopefully, we’ve answered the question of what system is best for you. Yet with the price of electricity constantly on the rise, the state of the environment degrading, and the cost of these systems dropping almost exponentially, there will come a time when how you do this will be the only question. Image Credit: Annual Energy Review, via U.S. Energy Information Administration, Happy Family in the Kitchen at Home Ready to Eat Biscuits, Electricity Bill with Graph Closeup, Business Person’s Table Planning Business Issue, via Shutterstock.